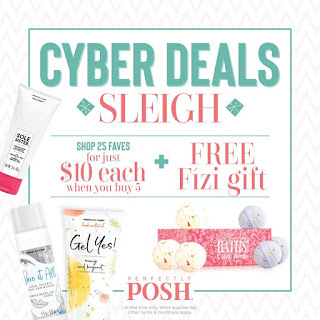 Pink 'n Posh: CYBER MONDAY IS HUGE! And the deals just keep coming....but I think today's is the best one yet and I will be taking full advantage of today's sale for my own personal stash! Today only, when you purchase 5 or more items on the list below (there are 25 items to choose from), they will only be $10 each!!! 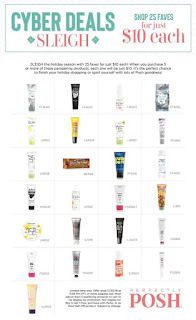 That is more than half off some of the products!!! So if you buy 5 items, that is $50, or if you buy 9 of them, it's $90! As long as you buy 5 or more from the list, they are each $10! And to channel my favorite infommercial, "But wait, there's more!" The first 5,000 people to place orders over $69 will receive a FREE 6 pack of Fizi Bath Bombs! Keep them for yourself or toss a couple in stockings as stocking stuffers. Either way, that along is a $25 value. 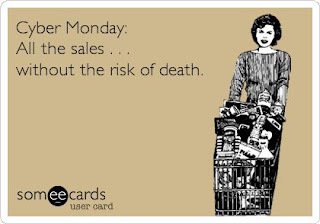 The opportunity to save some big money today is HUGE! Sale starts at 10am MT and you can shop at http://jamison.po.sh. Don't forget to choose NESTLE INTO NOVEMBER as your party at checkout!